Disappointed that the room didn’t include a continental breakfast. 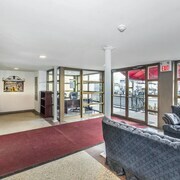 Where to find Leaside hotels near an airport? How can I find hotels in different Leaside neighborhoods? 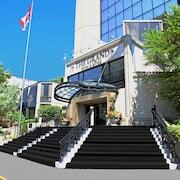 Where can I find hotels in Leaside that are near tourist attractions? Toronto, the capital of Ontario, is filled with fascinating streets, communities and neighborhoods waiting to be explored. Leaside is 6 kilometres (4 miles) north of Toronto's buzzing downtown area. Toronto's most iconic tourist attractions are the CN Tower and Canada's Wonderland. Those with plenty of time can also investigate the University of Toronto. Leaside is handy to the Ontario Science Centre, an important place on Toronto's tourist trail. 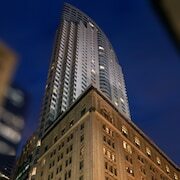 Situated close to the Mount Pleasant Cemetery is the Four Seasons Hotel Toronto and The Hazelton Hotel Toronto. 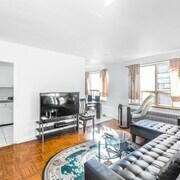 Alternatively, the Toronto Furnished Living-896 Eglington E is situated closer to the Sunnybrook Park. In case you don't have any luck finding suitable Leaside accommodation, you can also explore the hotels in York, a neighborhood that is situated 9 kilometres (6 miles) to the west of central Leaside. Another alternative is to book a hotel in Little Portugal, which is another nearby Toronto neighborhood. At Expedia, we want your visit to Toronto to be as rich and rewarding as it can be. 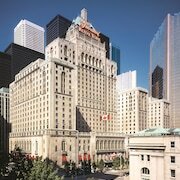 Our Toronto vacation travel guide and Toronto hotels page are great places to learn more! 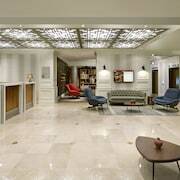 What are the most popular Leaside hotels? Are there hotels in other cities near Leaside? What other types of accommodations are available in Leaside? Explore Leaside with Expedia.ca’s Travel Guides to find the best flights, cars, holiday packages and more!